Successful, effective and highly promotable senior leaders level up and bring their A-GAME! They possess the skills to lead and execute with precision and conviction. They understand and connect with employee and organizational needs, and are capable of balancing, prioritizing, and attending to both. You get this and you’re ready to make it happen! Our Executive Wellness Coaching Program offers client-centric support and skill development in personal and organizational wellness. This individualized, client-driven program is designed for senior leaders and executives seeking support in developing and self-actualizing their unique wellness and professional needs and aspirations. Our innovative, goal-oriented approach involves a blend of personal and professional assessments, laser coaching methodology, skill-building tools, and experiential activities. The multi-dimensional coaching opportunities, outlined below, offer full-spectrum support to meet the diverse needs of today’s senior leaders and executives, helping them succeed in life and at work. Gain clarity in your personal/professional goals and develop a roadmap for manifesting them. Identify and overcome the health and wellness challenges impeding your personal and professional growth. Master personal, emotional, and career well-being for peak performance and career advancement (see charts below). Optimize your health, wellness and vitality via personalized coaching in: whole foods nutrition, mindful eating, healthy weight management, healthy habits, fitness, stress mastery, energy enhancement, and work-life balance. Illuminate and mitigate work and life stressors via a Stress Mastery Questionnaire and individualized follow up report, Stress Mastery Guide and Workbook, and coaching support. Nurture skills in work-life integration for optimal health, well-being, and professional success. Gain insights and skills for optimizing employee and organizational wellness (see charts below). Acquire insights in how to nurture employee engagement and peak performance. Develop skills for enhancing employee morale, fulfillment, and purpose in their work. Learn how to cultivate healthy work habits and champion vibrant work cultures. Gain clarity and skills in facilitating positive working relationships between employees and managers. Discover opportunities for enhancing employee attraction and retention via inclusive wellness programs. What does the “Executive Wellness Coaching Program” include? Personal Wellness Assessment and goal planning session (i.e. 60 minutes). Minimum of five additional goal-oriented laser coaching sessions (i.e. 30 minutes) over a 6-8 week period via Zoom, telephone and/or other mediums. Mid-week check in and support — as agreed to and scheduled. Stress Mastery Questionnaire and personalized report. Experiential skill-building activities and assignments. and skill-building tools, resources, case studies, etc. only available until September 30, 2019! This exclusive VIP Club will offer opportunities for continued networking, collaboration and coach/peer support in personal and organizational wellness development. inquire today to learn more, register or be added to our wait list! Let’s create your future… together! As your Executive Wellness Coach, I will work with you to identify and hone your unique personal and professional development needs. 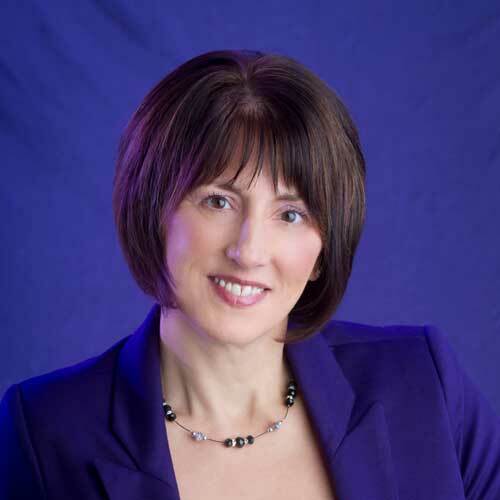 As a seasoned wellness coach, business consultant, and corporate trainer with over 20 years of proven achievements in entrepreneurship and business development, I have the breadth of skills and experience to help you actualize your wellness and career goals! Champion of personal wellness and professional growth/transformation. Cultivator of self-care and work-life balance. emotional intelligence, mindfulness, self-awareness, and self-confidence. Cultivator of centered and self-directed leaders. Change Agent and Performance Enhancer. Facilitator of excellence and personal fulfillment. Innovator, Visionary, Challenger of Status Quo. YOUR unique talents and abilities! 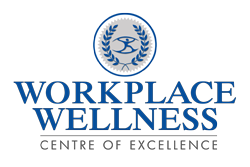 The Workplace Wellness Centre of Excellence (a division of Workplace Wellness Centre of Excellence) provides innovative, cost-effective workplace wellness training programs and solutions. Our centre’s mission is to foster a collaborative landscape that mobilizes the development of inclusive, results-oriented corporate wellness solutions. Through dynamic and responsive programs, Workplace Wellness COE’s “Workplace Wellness Centre of Excellence” trains wellness enthusiasts/professionals and industry leaders in how to champion vibrant, growth-oriented work cultures. Fostering healthy employees and vibrant, energized work cultures that promote employee and organizational success. Developing “Wellness Change Agents” who make a difference. Cultivating “high-involvement – high commitment” programs. Complete our information form below to learn more about our coaching services, fees, and to request a complementary “Executive Wellness Coaching” Discovery Consult for yourself and/or your organization.